KINGSTOWN, St. Vincent, Sept 15, CMC – The St. Vincent and the Grenadines government says it will not inject any more funds into the cash-strapped regional carrier, LIAT, until the airline improves its services to the island. Prime Minister Dr. Ralph Gonsalves led a delegation for talks here with a LIAT management team, headed by the acting Chief Executive Officer, Julie Reifer-Jones two weeks after his administration wrote the airline demanding talks over what it described as its poor service. The talks here on Wednesday were aimed at resolving “LIAT’s deteriorating service experienced by the Vincentians” and in a statement Thursday following the talks, Gonsalves highlighted a number of challenges, including the lack of information on delays and cancellation of flights to the travelling public. The statement Thursday noted that the central mandate of LIAT is to provide the best possible service with the equipment available. 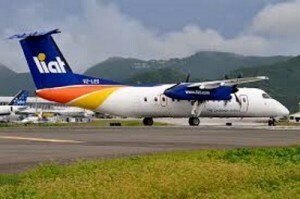 “The Company must seek to carry out the mandate of the Shareholder Government and the Board of Directors in that the decisions made by shareholders are not fully implemented by the management of LIAT,” the statement said, in an apparent reference to the failure of the airline to shift its hub from Antigua to Barbados as the shareholder governments decided some time ago. Antigua and Barbuda, Dominica, Barbados and St. Vincent and the Grenadines are the shareholder governments of the airline and the government here said that there will be no new injection of funds from Kingstown until the airline’s service is “significantly improved”. LIAT had recently requested that Kingstown release a further EC$810,000 (One EC dollar =US$0.37 cents) to help with its operations. The statement said that both the government and LIAT “were satisfied with the outcome of the discussions and the travelling public should look forward to an enhanced service as promised by LIAT”. It said that another LIAT team held discussions with the management of the Argyle International Airport (AIA) in preparation for operations out of the new airport. The statement said that LIAT’s management was “apologetic” to the travelling public, especially the St. Vincent and the Grenadines national football team which had been delayed causing the team to its connecting flight to Guatemala. The team was forced to play its World Cup Qualifier less than 24 hours after arriving in the Central American nation. The statement said that LIAT agreed to review the schedule of flights in and out of St. Vincent within one week to better serve the travelling public. “This includes a 6:15 a.m. flight out of E.T. Joshua to Barbados and the 8:55 p.m. flight from Trinidad and Tobago,” the statement said, adding that it would also notify airport authorities by 9.00 p.m. (local time). about the need for any extension beyond the operating hours of the airport. 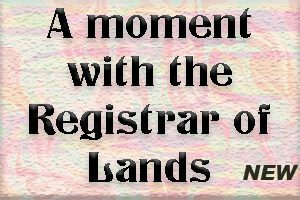 In his letter, Pompey had complained that to accommodate LIAT the E.T. Joshua Airport had been remaining open up to 2 a.m., past the 11:30 p.m. cut off time it agreed with the airline. The meeting also agreed LIAT would review the turnaround time of aircraft with a view to reducing the delays in operation of flights. The airline will also “consider favourably a return of the direct Puerto Rico-St. Vincent flight” and “improve customer service by providing more information to the travelling public in relation to flight delays and cancellations”. The statement said that the meeting was also informed that a tenth ATR aircraft (72-seater) will be added to LIAT’s fleet by early November 2016. Earlier this week, LIAT’s Chief Commercial Officer, Lloyd Carswell, said the airline was operating under “major constraints” and was struggling to provide a significant number of flights daily with fewer aircraft. “We currently operate, on average, 80 flights per day, ranging from the north of the Caribbean to the extreme south with just nine aircraft. Five years ago LIAT operated a schedule with 17 aircraft,” he said.